Now technology is everywhere in education sector. India is in the midst of a massive effort to make affordable high-speed Internet and free online teaching resources available to even the most rural and remote schools. With some of the best universities and colleges India has been successful in attracting bright talents all over the world. Indian education system is robust and built on strong foundations. In the education sector, incremental solutions are invariably met with a tepid response from educators, students and parents alike. This makes it important for education entrepreneurs to look at developing solutions that show at least a 10x improvement by fitting seamlessly into existing systems. 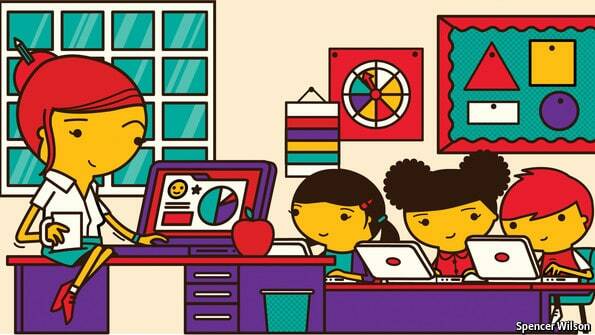 Many organizations in the Ed-tech field see new technologies as powerful tools to help schools meet the needs of ever-more-diverse student populations. The idea is that digital devices, software, and learning platforms offer a once-unimaginable array of options for tailoring education to each individual student’s academic strengths and weaknesses, interests and motivations, personal preferences, and optimal pace of learning. Learning management systems, student information systems, and other software are used to distribute assignments, manage schedules and communications, and track student progress. Plastic Water Labs- Bangalore-based Plastic Water VR is tackling poor comprehension levels in students by introducing Virtual Reality (VR) as a solution. By creating immersive and interactive environments that promote multi-dimensional thinking, Plastic Water VR is attempting to improve math and science learning outcomes for children studying in grades 6-8. The content is delivered over android-based smart phones and the virtual reality based learning experience is provided through Google cardboards. BYJU app aims to offer training for preparation of different entrance and competitive examinations like CAT, JEE, IAS, GRE, and GMAT. Since then, it had left a mark on the list of suppliers of school curriculum supplemental classes between grades 6 to 12. User interface is really good for kids to use the app. It will reduce IIT aspirant to travel KOta and IAS aspirants to travel Delhi. Helps you to visualize and stays in memory what you are learning for a long time. Dost Education– Working towards empowering illiterate mothers to become better informed and active participants in their children’s development. 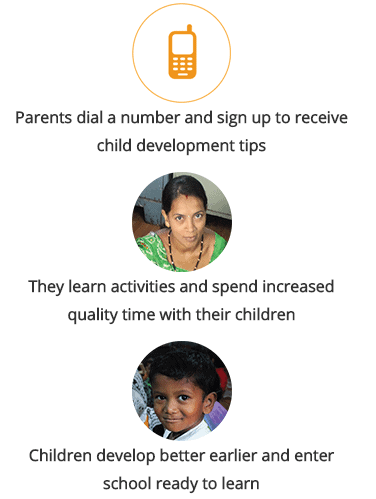 Its mobile-based technology innovations or methods that can improve reading outcomes for children. Innovative topics proposed may focus on the enhancement of and the development of new tools or methods. It delivers local language curriculum and a communication platform to arm parents with the knowledge and resources they crave. These literacy assessment methods to improve and measure reading by adapting or applying those technologies and assessment methods in new and innovative ways. The evidence-based curriculum infused with local knowledge as voice calls to mothers; empowering and enriching them to provide effective early learning experiences for their children. 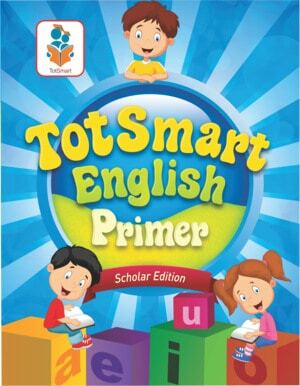 TotSmart Education – It is a ‘blended learning’ approach includes physical textbooks which are developed in-house and Pedron – a collection of games &videos for preschool kids, which are perfectly in sync which what they learn at school. It not only provides them endless practice opportunities but also customizes the learning plan for each kid as per their progress. Hence TotSmart product line includes Physical textbooks as well and the combined offering is positioned as a Blended learning one (Physical books + Digital platform) for schools. CogitoHub– The organization uses Predictive Analytics, Advanced Algorithms and Machine Learning to create contextual outcomes for Educators and Students across the country. The company has two specialized Programs ‘StudentNext’ and ‘EduTalent’. ‘StudentNext’ Program for grades 8th-12th, that uses predictive analytics and machine learning to help students and young adults bridge the talent gap and make informed decisions regarding their ‘Next Steps’ whether it’s choosing courses, colleges or careers. ‘EduTalent’ Online ERP-Talent Management Platform aids Educational Institutions across India to recognize the true ‘Potential’ of their Educators and help them ‘Perform’ better. Thereby enhancing job satisfaction and overall school performance. Company is choosing subjects and courses and selecting a university or curriculum in college or choosing the right careers and jobs that will help them realize their true potential. Over 25,000 students and 1,100 teachers across the country use CogitoHub products to improve decision making and get a better understanding of their next steps. Gyan Labs– Mobile-friendly learning platform for K-10 students. It gamifies and personalises learning based on what a child already knows and how they learn best. Available in English and vernacular medium. Self-explanatory manuals and short videos on the topic, with lab sessions that are synchronized with the curriculum followed by the school, help in meeting the students’ needs. GyanLab.com is an adaptive, personalized online tutor for school students that is currently being developed by the company. Apart from offering a wide range of educational services, GyanLab is also known for conducting the annual competition, called Kidovators. Kidovators is India’s most innovative challenge for school kids. Students from all over India ranging from grade 3-9 participate in this event. According to GyanLab, it is a platform for school students to showcase their intuitiveness and preparedness for life ahead. Katalyst Eduserve– Offers competency-based assessment complementing credit-based education, for better academic outcomes and improved quality of life. Its offerings range in price between Rs 100 – Rs 6,000 and include assessment, academic comparison, personal counselling, parent and teach interaction, career guidance and yearly engagement of a personal trainer. 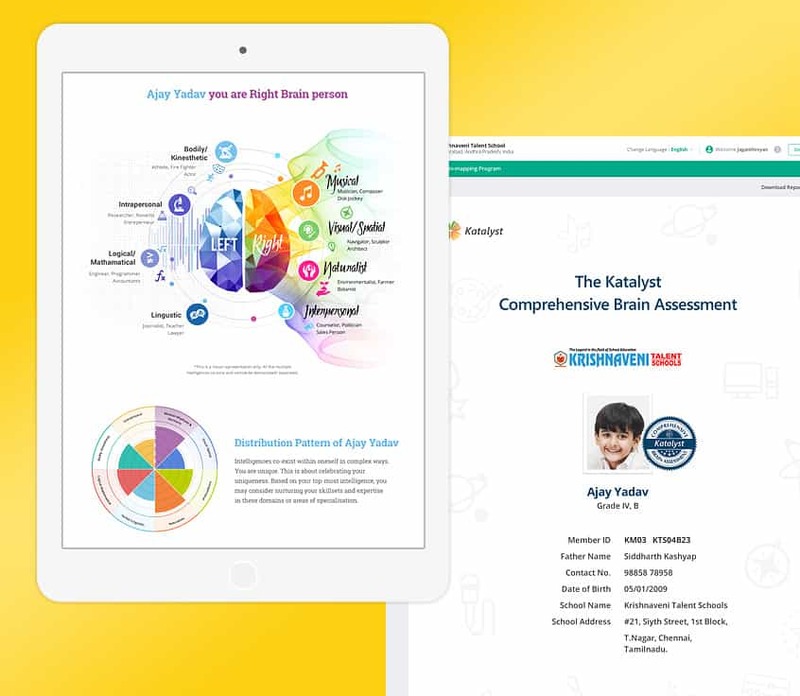 The service offered by Katalyst are inspired by the theory Multiple intelligence of Howard Gardner and have used the public domain which includes but not the limited to the internet. The tool generates a detailed analysis report of the student guiding them on their predominant intelligence.